Some disbursements from life insurance policies must be claimed on your taxes. 2. Are Life Insurance Death Benefits Taxable Income? 3. 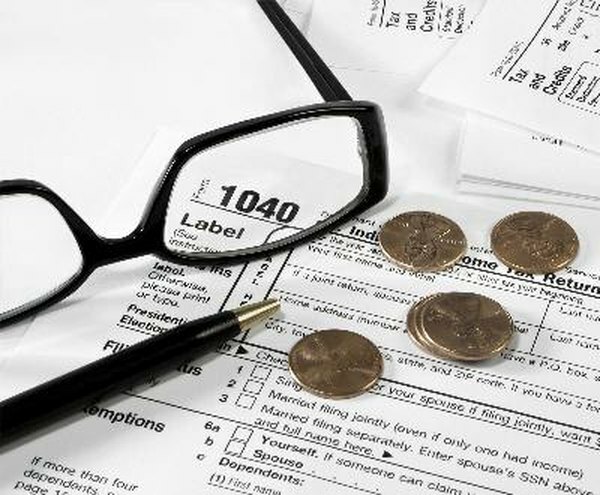 Do You Have to Pay State & Federal Taxes on a Civil Lawsuit Settlement? Life insurance should not be considered an investment despite the presence of investment-like cash value accounts in permanent policies. Because the Internal Revenue Service is aware of the potential for abuse and tax-free earnings from these products, restrictions have been placed on how and when money may be withdrawn and in what situations you must claim disbursements on your income taxes. Permanent life insurance policies accumulate a cash value, which you can borrow at any time for any reason. The cash value is a combination of excess premium contributions and any interest earned by the investments in that account. If you receive a cash disbursement from your policy, the life insurance company will structure it as a loan and you will be required to repay the money plus interest. Taxes are not due on loan proceeds. Provided you repay the loan, you will not have to claim the disbursement on your income taxes. If you surrender your permanent life insurance policy and receive any money that remained in the cash value account, you might be required to claim that disbursement on your taxes. Only the amount you receive that is above your cost basis is considered taxable earnings. The IRS defines cost basis as "the total of premiums that you paid for the life insurance policy, less any refunded premiums, rebates, dividends, or unrepaid loans that were not included in your income." If the surrender value of your life insurance policy is less than your cost basis, you do not have to claim that money. In most cases, death benefit disbursements are not considered taxable income. As the beneficiary on a life insurance policy, any money you receive is free from federal income tax provided that sum is not larger than the policy's death benefit. If the insurance company places the death benefit in an interest-bearing account, rather than give you a lump sum, any interest earned in that account must be claimed on your taxes. The life insurance company Axa-Equitable explains that "The funds that the insurer holds are earning interest, and when a payment is made to your beneficiary, it may include both principal and interest earned by that principal, or only interest." Similarly, if the company pays the death benefit in installments, the IRS requires you to claim the interest portion of each payment. Before the Pension Protection Act of 2006, death benefit disbursements received by employers were tax-free. To stop the employer practice of insuring employees simply to collect tax-free money, part of the Pension Protection Act changed the rules regarding employer-owned life insurance policies. Unless specific notices are given and criteria met, disbursements to employers are fully taxable. To avoid taxation of death benefit proceeds, companies must notify workers in writing of their intent to purchase life insurance, the face amount of the policy and whether coverage will continue after employment is terminated. Workers must acknowledge these facts and provide consent to being insured under such terms. Axa-Equitable: Will My Beneficiaries Have to Pay Taxes on the Proceeds of My Life Insurance Policy? Life123.com: Do You Need to Pay Taxes on Life Insurance?